This couple eloped in New Orleans, but did it in absolute style, with probably the fanciest setting for an elopement that I've ever photographed. Their ceremony took place in front of this poolside cabana, stunningly decorated by Bella Blooms Floral, at the elegant Roosevelt Hotel. After the first look and ceremony, we headed out for a portrait session in the French Quarter, before heading back to the hotel where the couple enjoyed an secluded private dinner in the cabana. Other popular locations for eloping in New Orleans include Jackson Square or Artillery Park (which is right across the street), Muriel's, City Park, and Audubon Park. Additionally, there are many bed and breakfasts are ideal for elopements, such as the Grand Victorian Bed and Breakfast, Magnolia Mansion, and Creole Gardens. 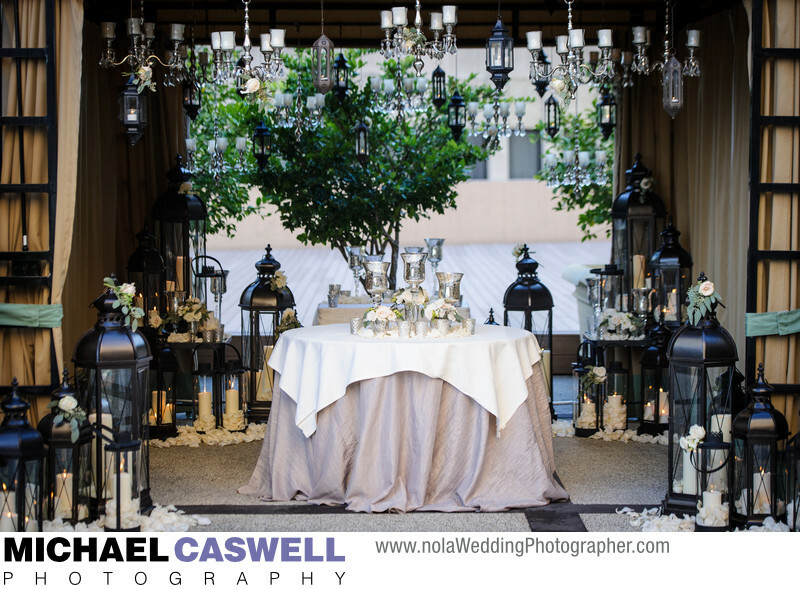 Many French Quarter hotels can also happily accommodate elopements, including the Bourbon Orleans, the Dauphine Orleans, and the Maison Dupuy, among others. Location: 130 Roosevelt Way, New Orleans, LA 70112.